Over the summer, I found this quilt on Pinterest while randomly browsing around. It became one of those projects that takes over your brain. I found myself thinking about it over and over and over. I kept sketching the quilt while watching TV. 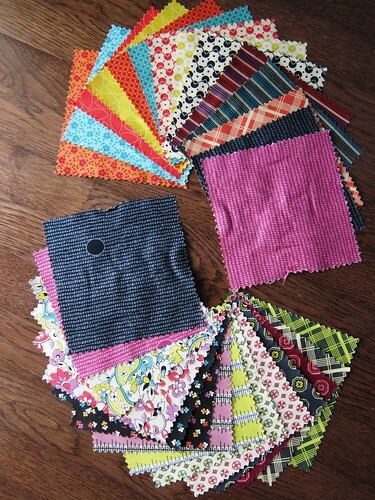 I spent hours scrolling through pages and pages of fabric swatches on my favourite on line quilt shops, searching for inspiration. Although, I was really liking Denyse Schmidt's Chicopee line I had dismissed it as a fabric contender early on. I didn't think that the bold colours would work for the nine-patch sections and that the overall look of the quilt would be too "grown up". After ruminating on it for months, I finally decided that I would shelve the idea and wait for inspiration hit. Finally I found it while checking Craftsy's deals page one morning: Chicopee charm packs! I love that these charms are 6" wide. I was originally planning to use 5" blocks. This was part of the problem since the finished quilt would only end up being about 41" square, which felt more like a baby sized quilt to me. 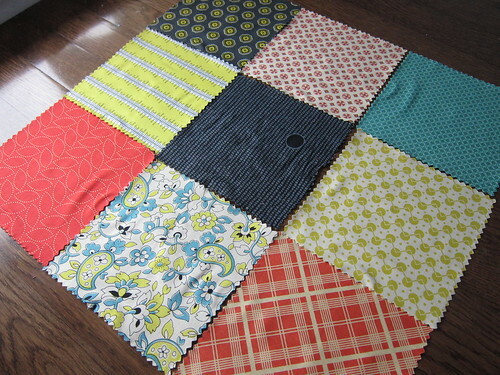 The larger blocks mean that the finished quilt will end up at 50" x 50", a perfect lap quilt! 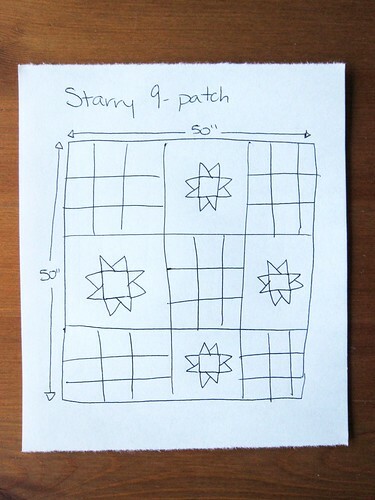 Best part is that at 30 charms per pack, two charm packs and a fat quarter will make the whole quilt. That's only about $20.00 worth of fabric. Since receiving those charm packs, I can't seem to focus on any of my other projects. While I sit at my machine piecing Smitten blocks, I just keep wanting to break into my Chicopee charms. After fighting the urge for three weeks, I'm finally ready to give in. This is crafting, this is my hobby, this is supposed to be fun. Forget what I "should" be working on, I'm going to stay true to myself and work on the project that is inspiring and exciting me right now. 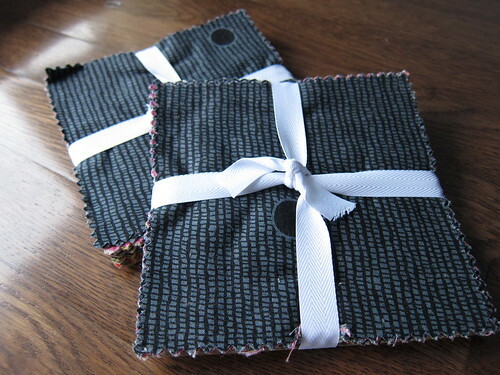 I'm declaring this Friday "guilt-free making day". Who's in?